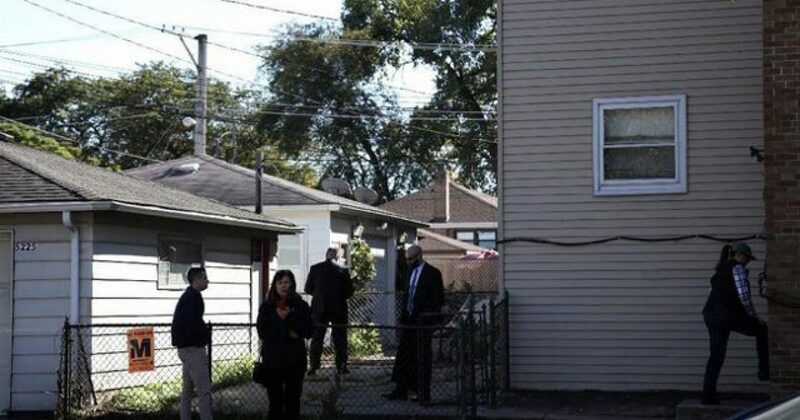 FBI agents raided a home on the North Side of Chicago on Wednesday as part of an investigation related to terrorism, leading to the arrest of one individual. A search warrant was issued and executed at 9 a.m. in the 5200 block of North Virginia Avenue. The home was located in the Budlong Woods neighborhood. It’s scary to contemplate the reality that a person with connections to some form of terrorism could be living right next door to you and you’d never know it, but unfortunately, this is the world we all live in these days. A man who lives in the two-story brick apartment building was arrested at another location on charges that remain under seal. Details of the investigation were not immediately available, but a source described the probe as a matter of national security. When a Chicago Tribune reporter neared the home Wednesday afternoon, a man got out of a black car parked in front of the building, identified himself as “state police” and said not to get any closer. “There’s an investigation going on,” he said. At least five agents in street clothes were stationed at a back entrance to the building Wednesday afternoon, occasionally walking in and out. Meanwhile, a neighbor pacing nervously outside the building said the officers had told her “not to talk” to anyone. Several neighbors along the quiet residential block said Wednesday they are familiar with the people who live at the two-story apartment building but don’t know much about them. The presence of the FBI and other local law enforcement officers in the area left many neighbors feeling uneasy, especially when their inquiries into what was going on in their neighborhood were shut down. One individual stated they have a very diverse neighborhood, alluding to the kind of people who make up the area. One neighbor, Roger McAlister, said that their neighbors would wave and say hello, but otherwise very little was known about them. He went on to state the whole situation is super mysterious.